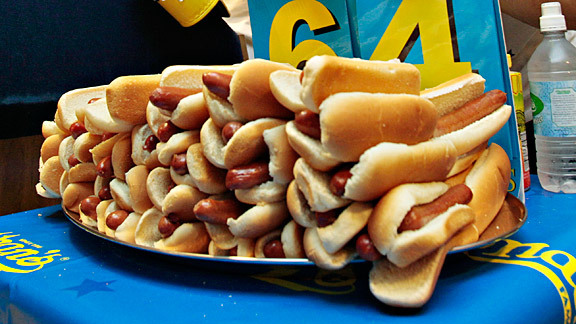 Matt "Megatoad" Stonie defeated Joey Chestnut today in Nathan's Famous Hot Dog Eating Contest in Coney Island, swallowing 62 dogs in 10 minutes beating Chestnut by two hot dogs. Chestnut's streak of 8 consecutive wins was snapped by the 23 year old kid from California. Miki Sudo repeated as the women's champion with 38 franks and buns in 10 minutes.